OK so...what is the Economics of Shah Rukh Khan’s Maths?? Shah Rukh Khan is an Economics graduate from Delhi University. In Economics, MONOPOLY is an interesting strategy that helps you sell your product at a higher price and earn enormous profit. With monopoly, the seller dominates. And buyers follow. Another funda is – if a particular product has been missing from the market for a long time, it will certainly kickstart with a positive response, owing to the initial unavailability. So here are myths and maths of the curious case of Chennai Express' fastest entry in 100 crore club. On August 9, Chennai Express released in 3,500 screens in India and 700 screens internationally (including 195 screens in the United States, 175 in the United Kingdom, 55 in the Middle East and 30 in Australia), making it the WIDEST Bollywood release of all times. Chennai Express is currently running in as many as 116 theatres in Mumbai – with 1400 shows per day. 1400 x 3 = 4200 shows per day of a single film! 520 x 3 = 1560 shows per day of Chennai Express. Almost all theatres are currently running one show of this film per hour. Which means around 90% of the shows running in each theatre belonged to SRK's film. Reveals a trade analyst, "SRK has occupied the maximum number of theatres and single screens for a big, wide presence in all the single screens and multiplexes. With no big releases around the movie, people had no other choice than Chennai Express to buy the ticket for." How many screens will the rest of the films occupy? Ekta Kapoor's film, Once Upon A Time In Mumbai, which is releasing on August 15, this Friday, is not going to have as wide and big a release and presence at the film theatres. A trade analyst has revealed, "Right now, a lot of issues are being fought amongst Ekta and multiplexes." This might lead to Ekta's film release not getting enough shows in the same. With the movie climbing the Rs. 150 crore ladder at a rapid speed within the first 5 days of release, it must be a much appreciated movie. "Critics are well aware of how big these films open. They can't tweak their reviews to suit box office numbers. A bad film is a bad film even if it breaks a million records," film critic Pratim has been quoted as saying to news websites. With more screens being available, increasing ticket prices and more spending power of people, these records will be broken everytime a big movie is released? "Yes, records will continue to break under such circumstances," Rajeev Masand has been quoted as saying, regarding Chennai Express' Box Office records. Do we get the real figures of the film's collection? "Unfortunately, there is no foolproof way of determining real Box Office numbers. With multiplexes, there is more transparency because ticket booking systems in multiplexes are computerized. But in the heart of the country, where single screens still form the bulk of the theatrical cinema experience, it is hard to calculate accurate figures because the system is not computerised," Rajeev Masand has been quoted as saying by news portals. "I learnt immensely from all the mistakes I made at the time of Ra.One. This time, I had about 10-15 meetings solely on the film's marketing strategy. 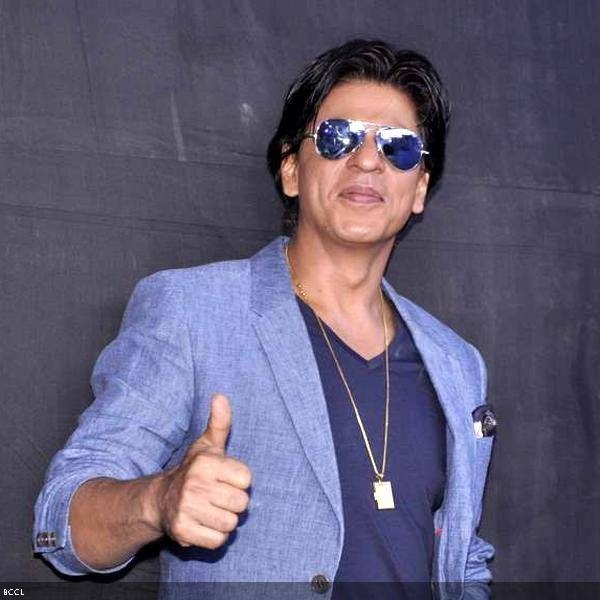 We decided amongst ourselves that the film has to target the first three days of the release -- and we have to sort of finish the game within the first 72 hours, come what may," explained SRK while explaining his film marketing strategies, "The film was strategised, structured and planned according to this plan. We planned to tuck in Rs. 100 crores within this time, and we did it." What does the aam junta relate to the most? The easy installments mode. SRK followed their mantra so that they follow his. Give them bits of the film slowly, in small installments so that by the end of it, he's etched in their memory. So, initially, the film's first look was revealed via posters. After a break of about a month, a music launch took place. After a few days, the first trailer was launched online. After two weeks, the first song was released online. After which, Khan began a few public appearances. A short break followed. Again, after a few days, Khan attends promotions, meets the press for some interactions. He returns to his shell soon after. Again, after two weeks, he begins to knock their TV screens - breaking in the middle of their daily soaps, promoting his film. Then IIFA awards begin - a golden chance to up the film's popularity. After another break, SRK throws himself out in the open again, this time for many more interviews for Chennai Express. Trailers on TV and internet, meanwhile, continue to play. He meets people in Mumbai, Bhopal, Pune and the Indian residents in London and Dubai, and ups the number of public appearances as the release comes closer. The promotions and strategies have to continue, especially on the day the movie's numbers dip. The moment people bid goodbye to the weekend and consequently the movie theatres, Khan will knock at our TV screens, fly to our city, just to spread the message across, singing the lyrics of his film's song, 'Ticket khareed ke, baith ja seat pe, nikal na jaaye kahin Chennai Express.' Public memory is short, you ought to keep yourself 'alive' in their memory to keep the train moving. Looks like it's going to be a 'Happy New Year' for the ECONOMIST KHAN knows DAMN WELL that it is all about the numbers ! !